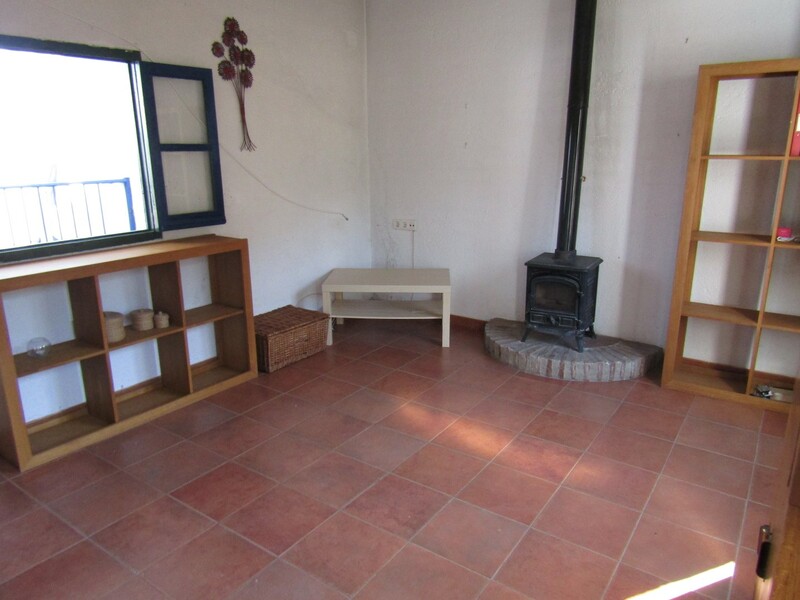 A very unusual village house at the top of the beautiful mountain village of Sedella, with easy access and amazing views across the village, countryside and out to the Mediterranean Sea. 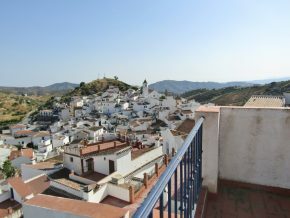 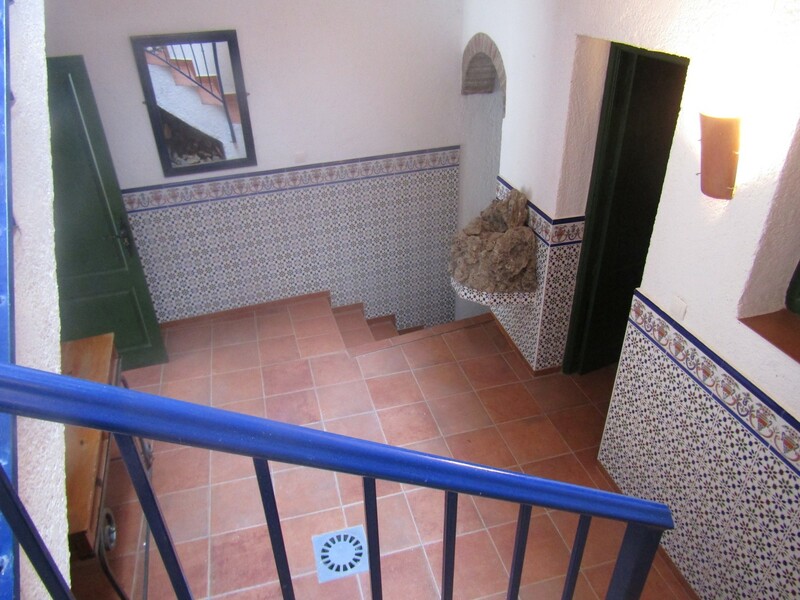 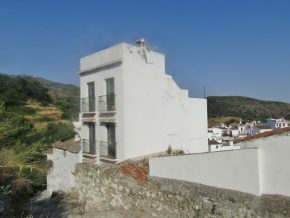 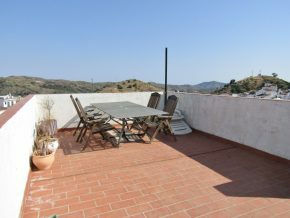 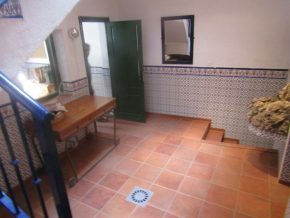 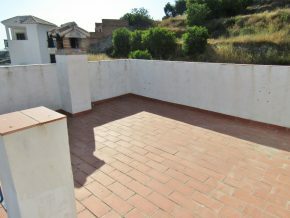 This very unique village house, situated in a quiet street at the very end of the village and bordering the mountainous countryside and national parkland, is on three floors plus a top roof terrace. 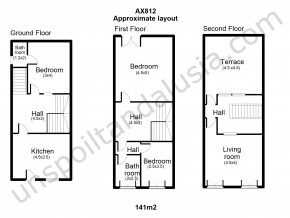 The front door leads directly into a fully fitted kitchen (4.5 x 3.5m) and beyond is a hall and open atrium with a glass roof at the top, housing the staircase up to each floor. 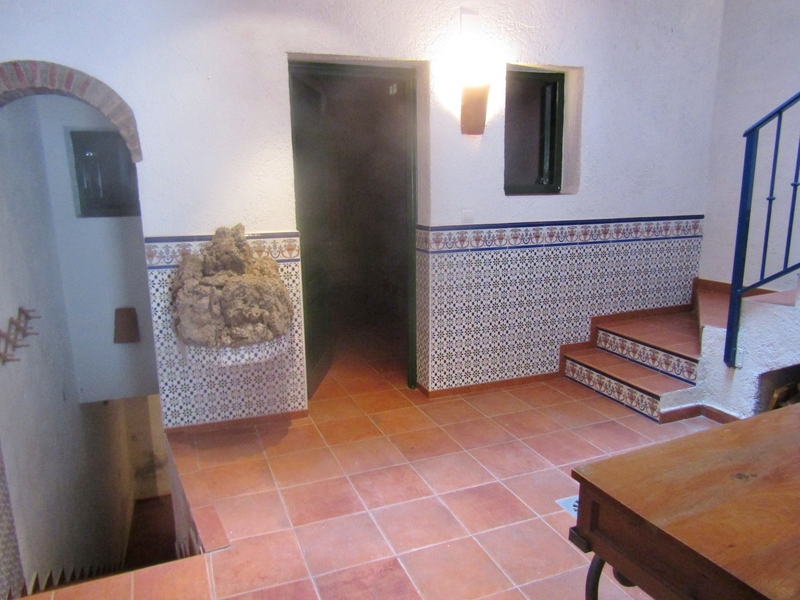 Beyond the hall, an arch to the left leads down tiled steps to a very cool basement used as a ‘bodega’. 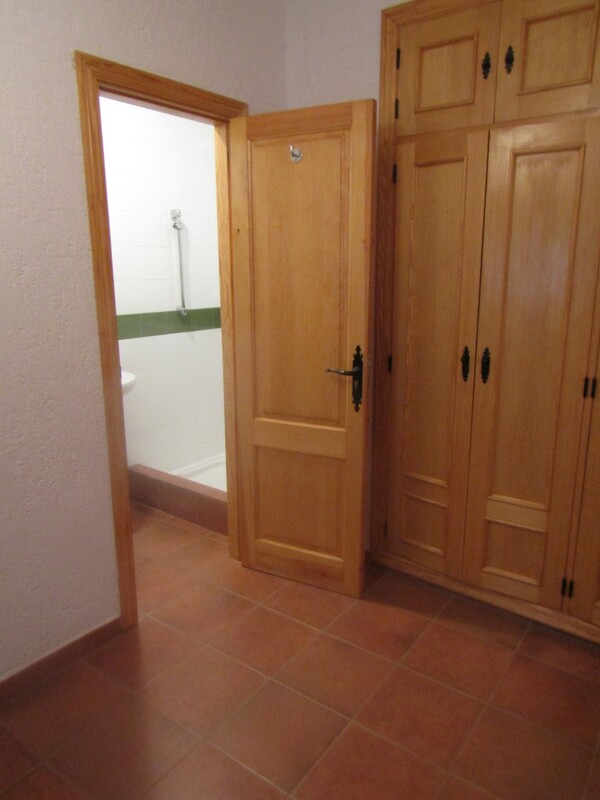 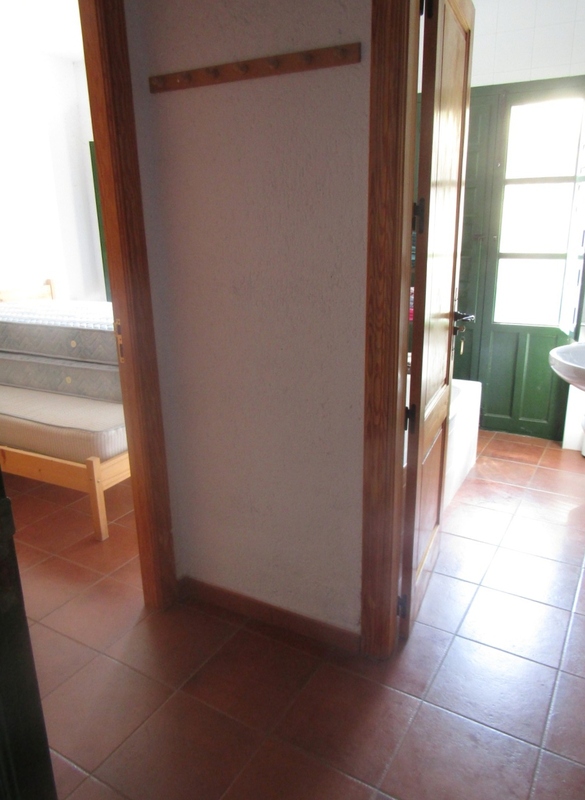 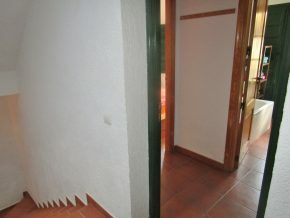 Ahead is the door to bedroom 1 (5 x 3m) with plenty of built-in wardrobes and an ensuite shower room. 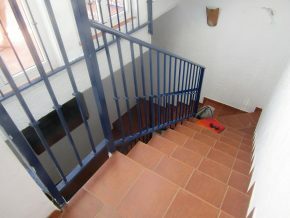 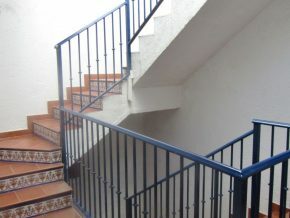 The stairs lead to the first floor, and to the left is the second bedroom (4.5 x 5m) with fitted wardrobes. 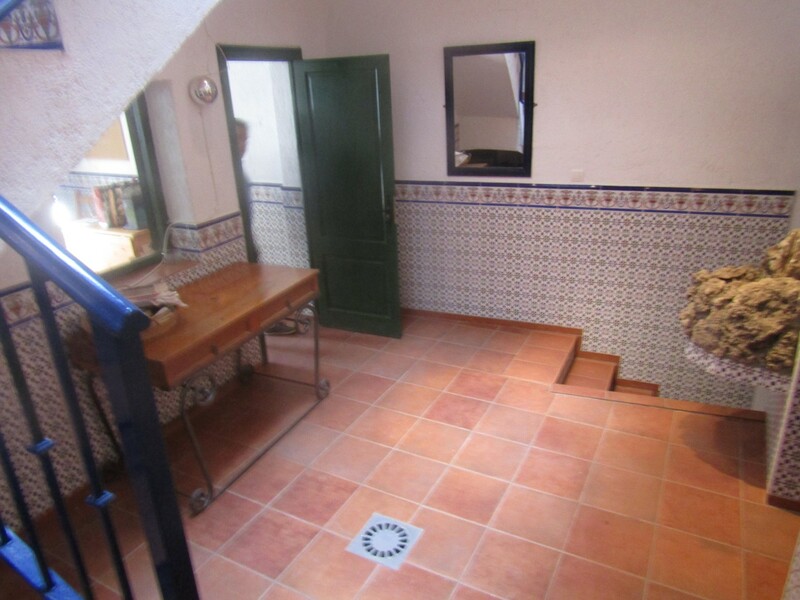 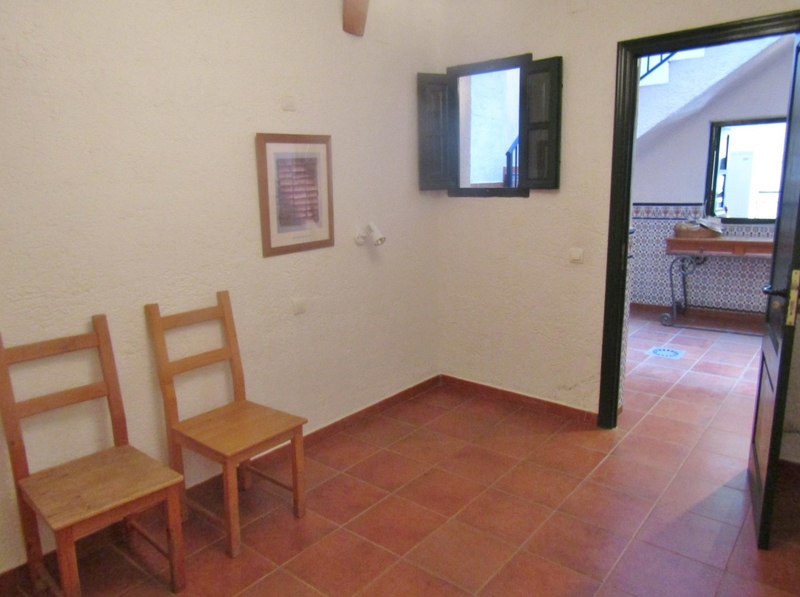 Opposite, to the right of the atrium, is a bathroom with traditional double wooden doors opening onto a juliette balcony, and next to it is bedroom 3 (3.5 x 2.5m) also with access via double wooden doors to a juliette balcony. 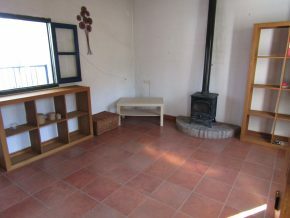 On the top floor is access to the living room with two sets of double doors onto balconies, and a wood burner fireplace (4.5 x 4m), and to the main terrace (4 x 6m). This lovely terrace has wonderful views over the village, countryside and even has a distant glimpse of the sea. 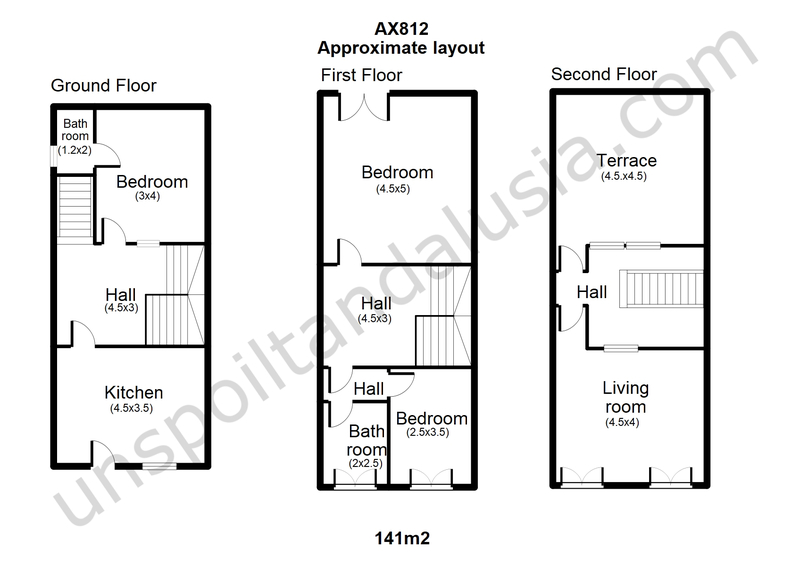 From the atrium, two large windows provide plenty of light to the house and stairwell. 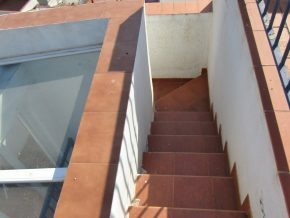 And to the side of the main terrace, steps led up to the top terrace (6 x 4m). 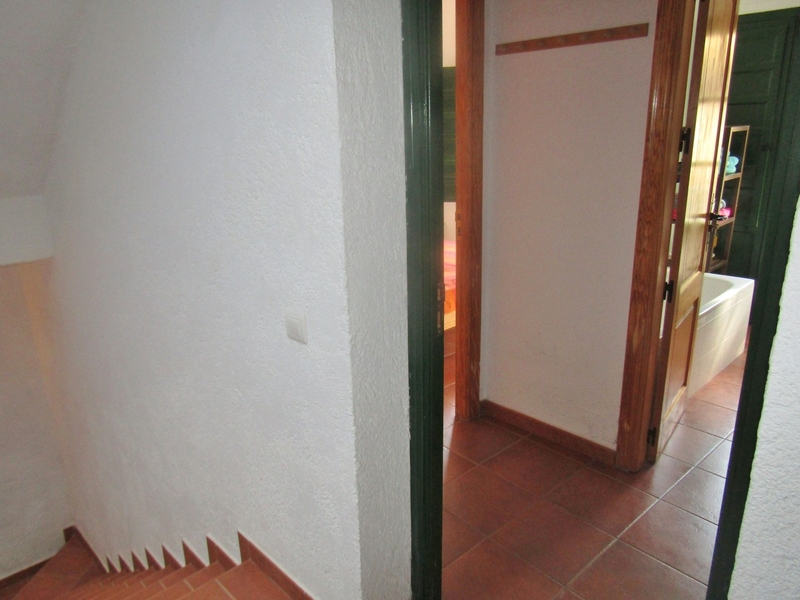 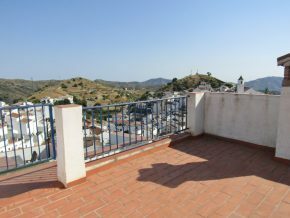 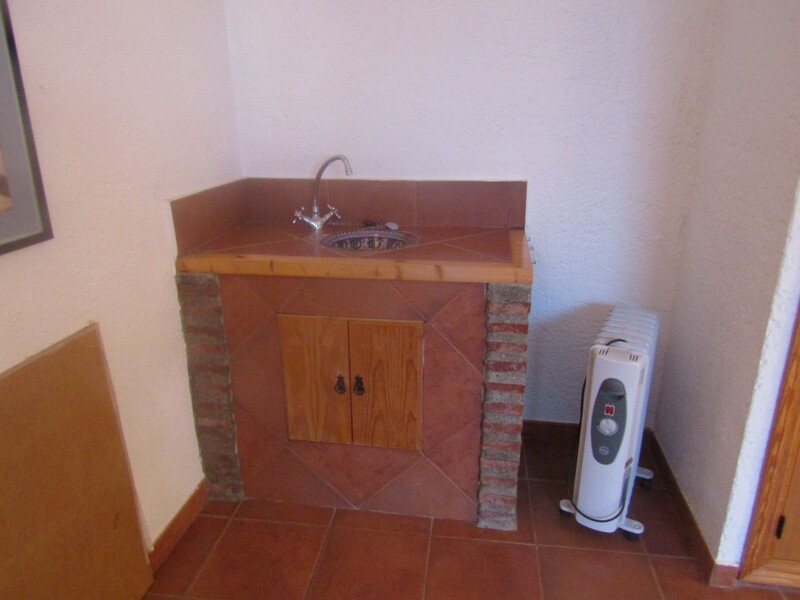 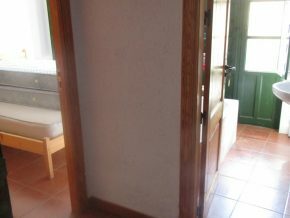 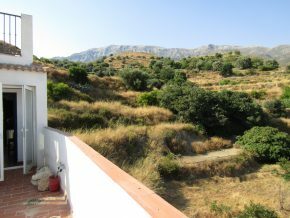 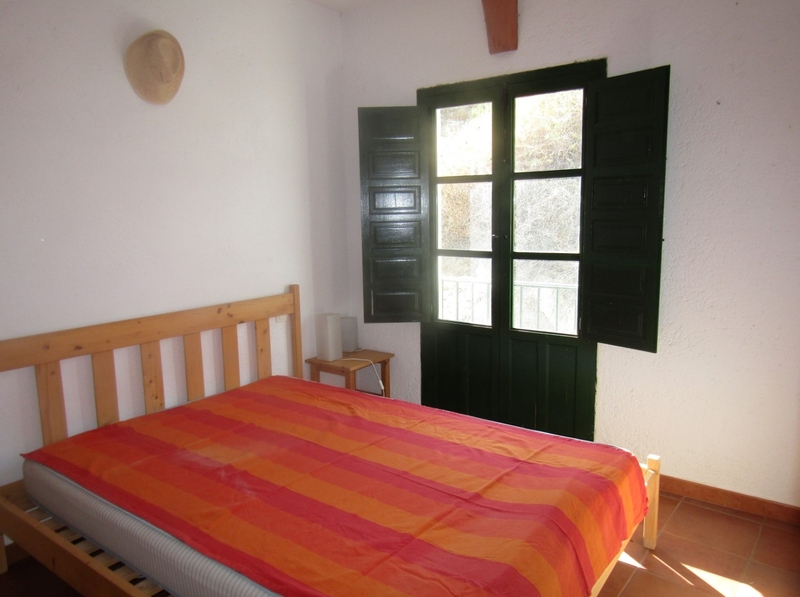 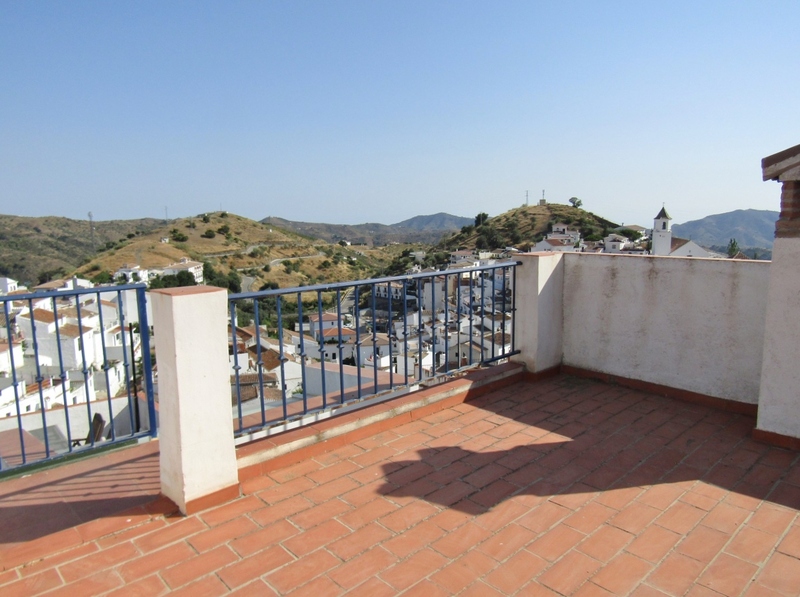 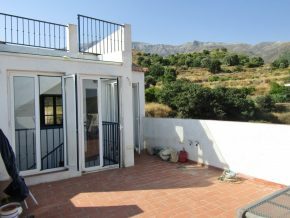 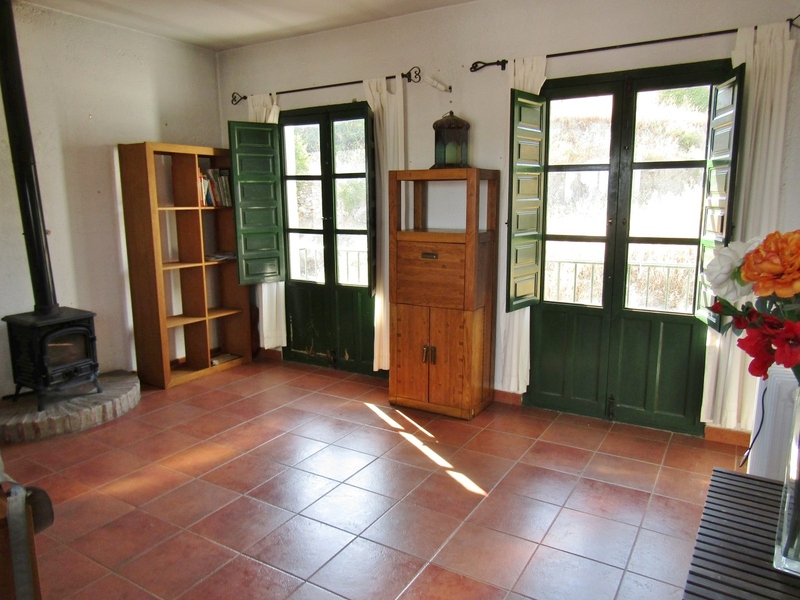 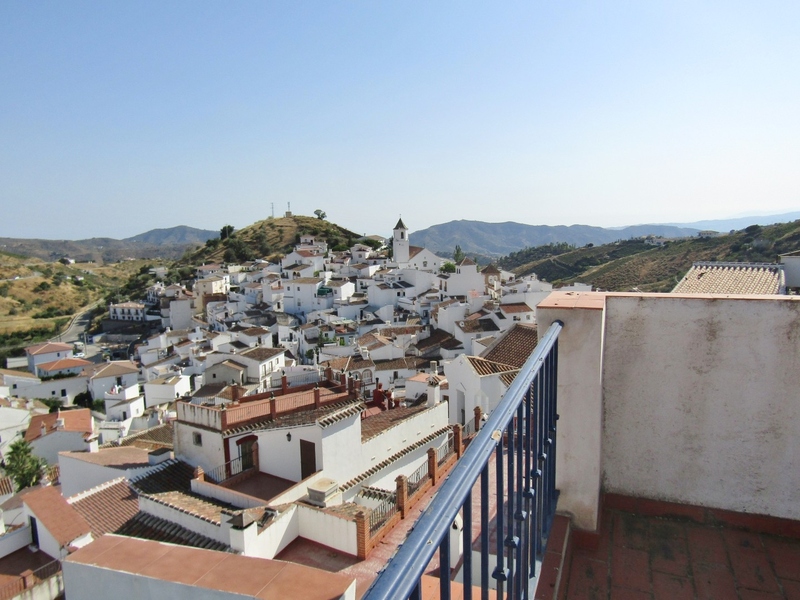 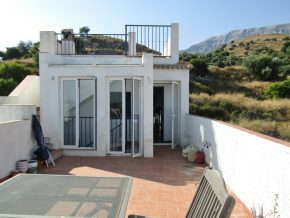 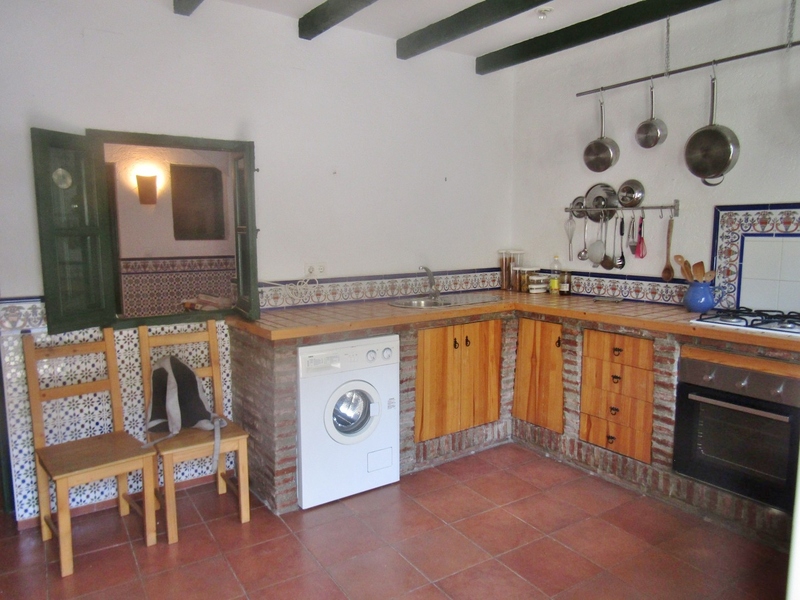 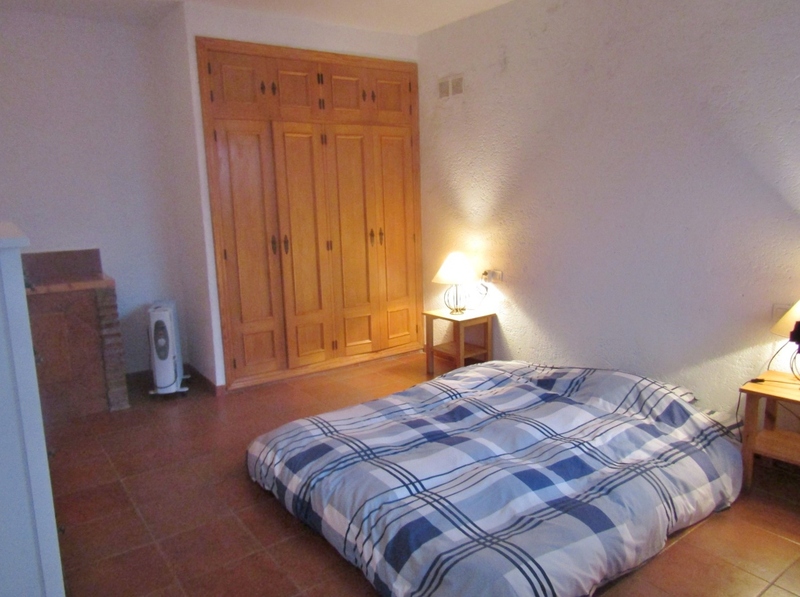 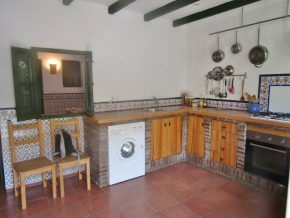 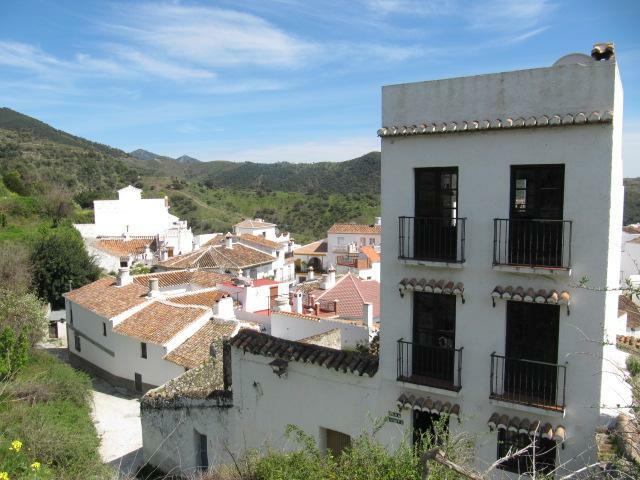 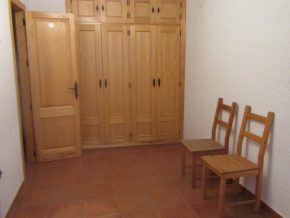 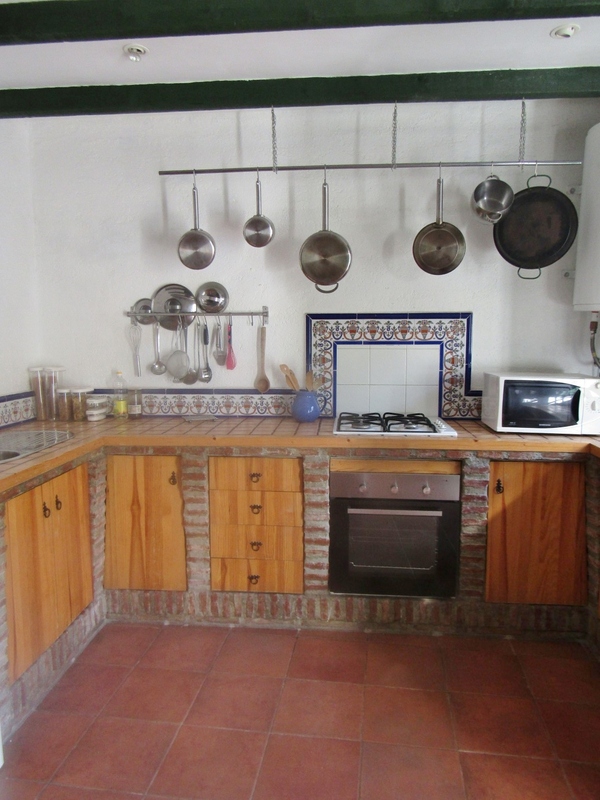 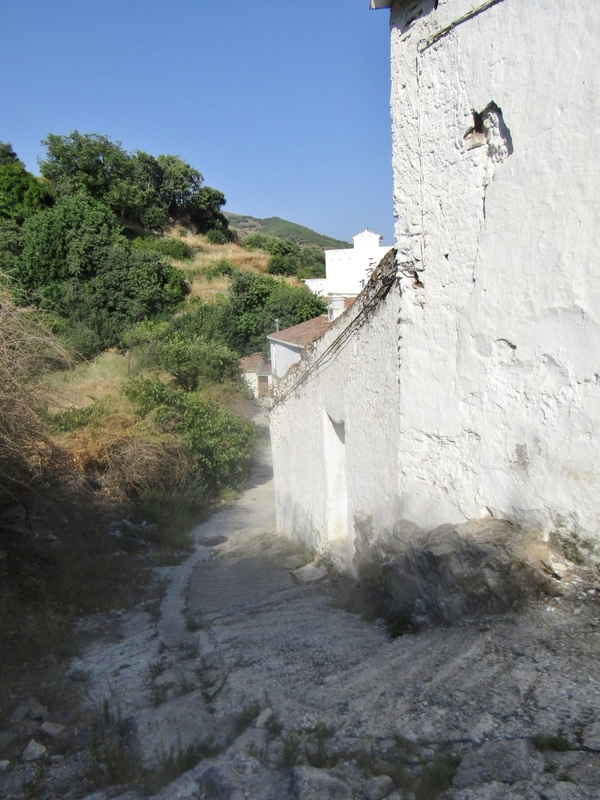 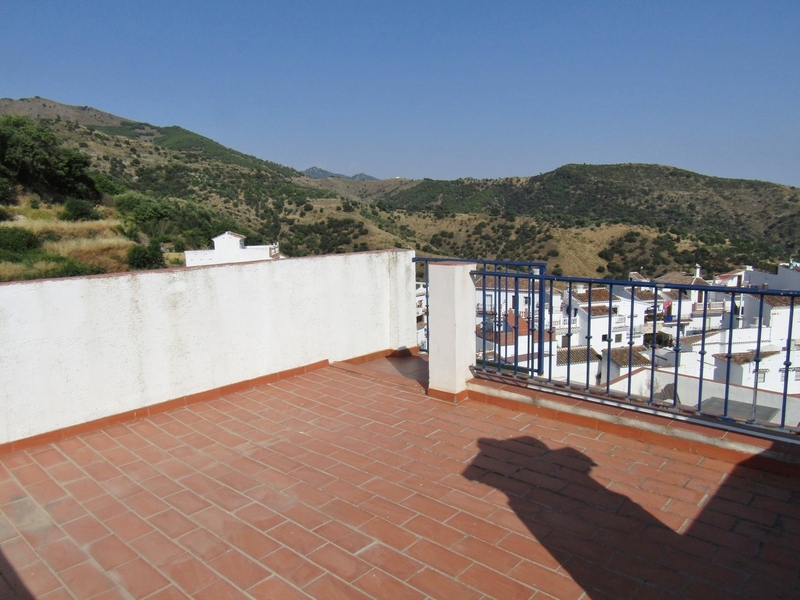 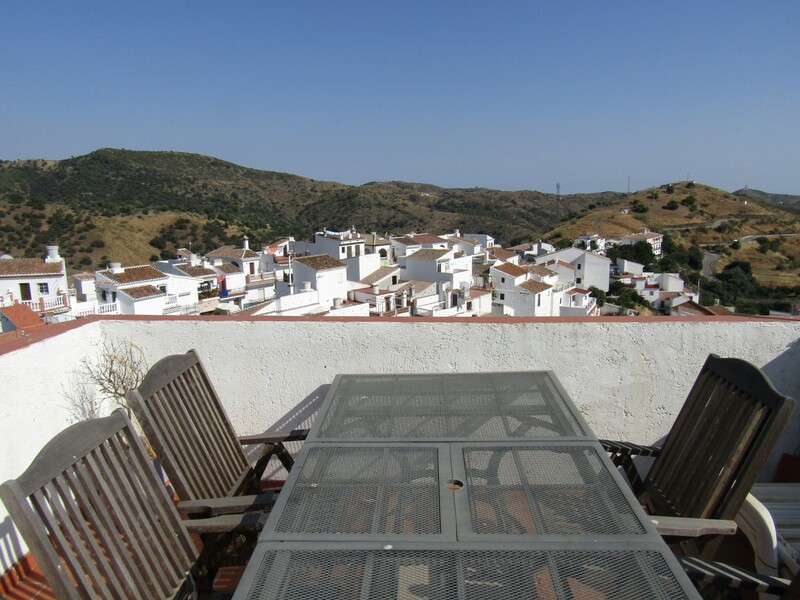 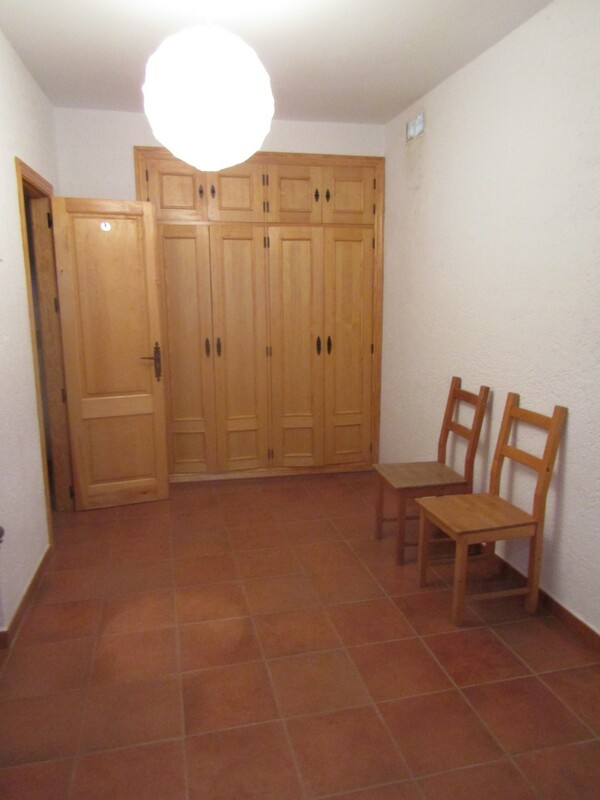 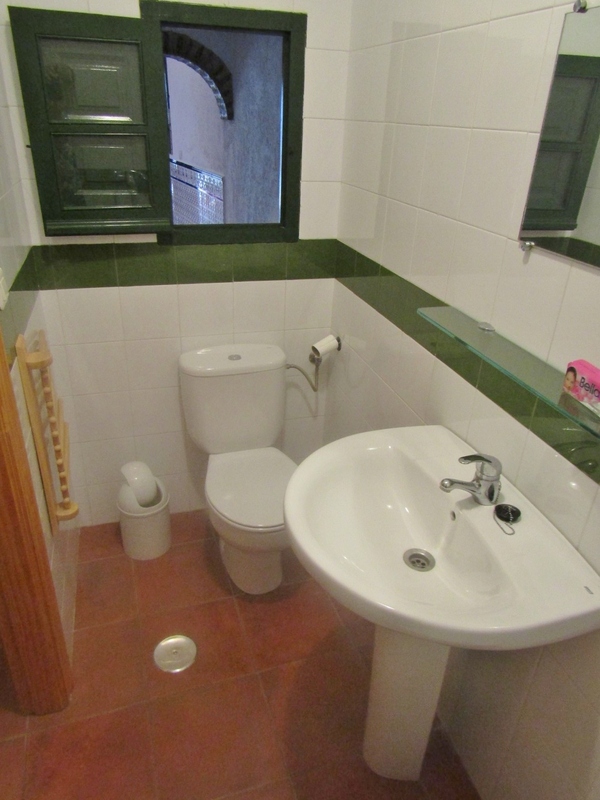 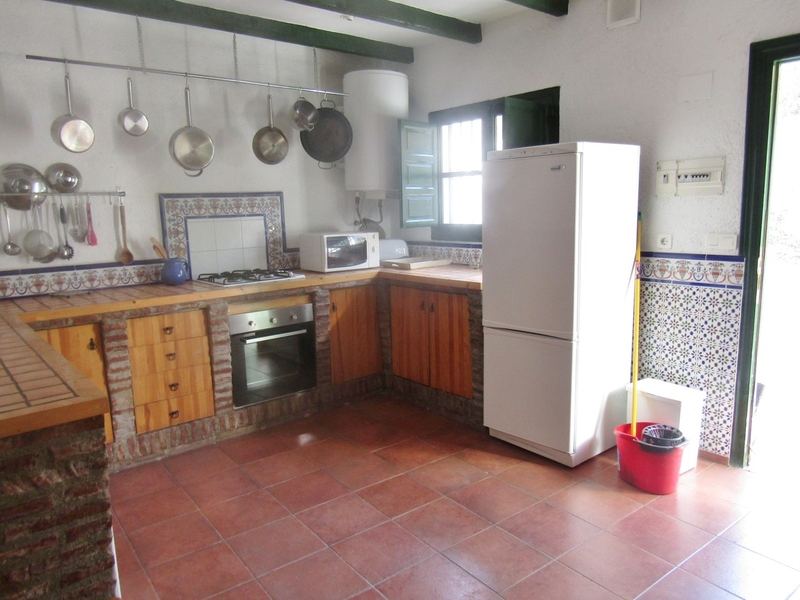 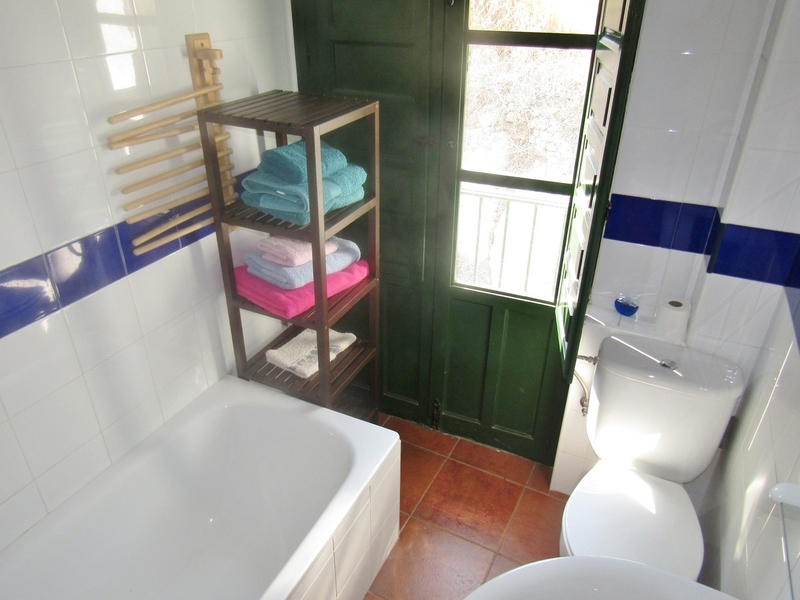 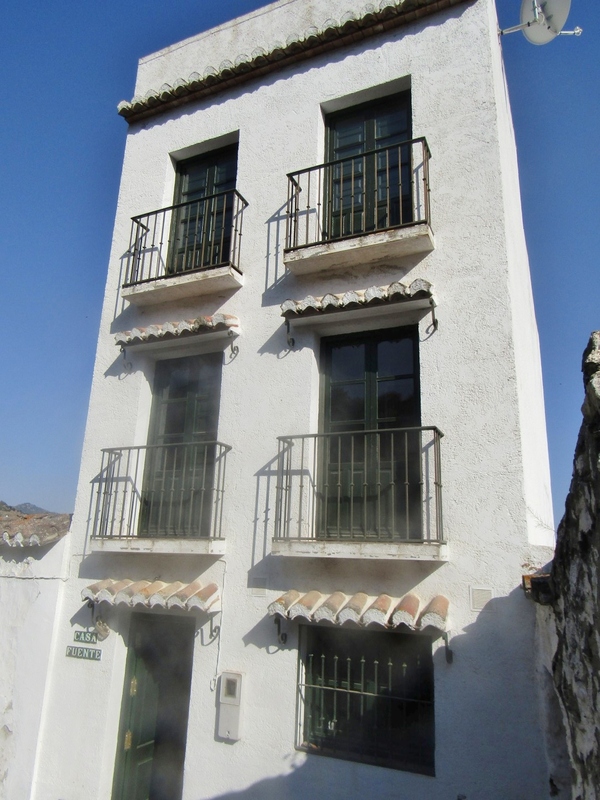 This property might be ideal for letting rooms, in this popular village, the starting point of mountain walking routes across the Maroma mountain for many keen walkers and ramblers throughout the year. 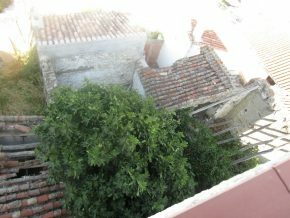 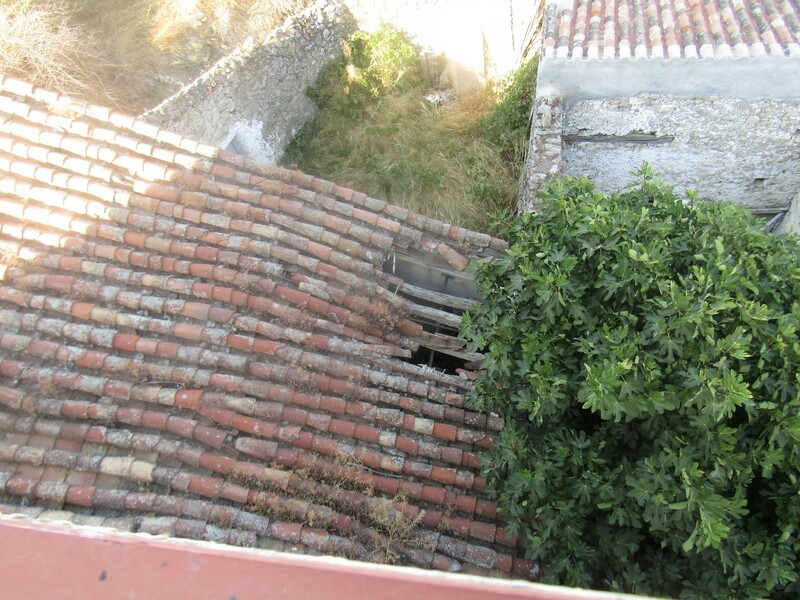 There is a small ruin and plot next door which, if bought, would make an excellent walled patio garden. 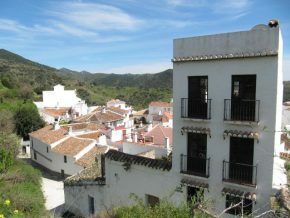 The picturesque village of Sedella has several shops, bars and restaurants, along with sports facilities and a medical centre. 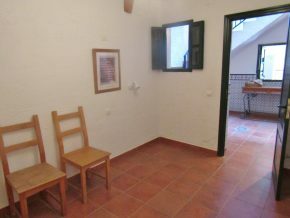 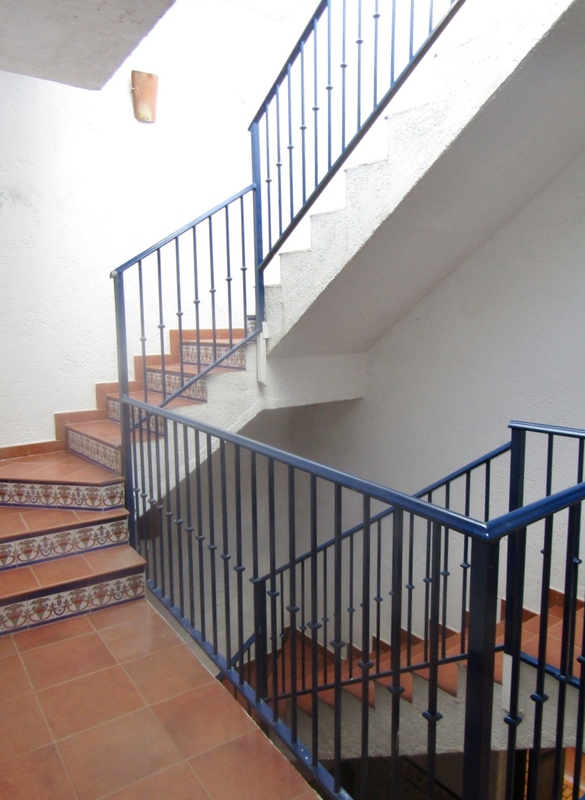 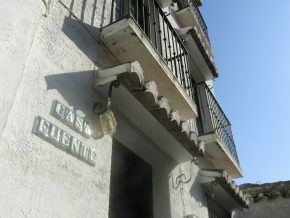 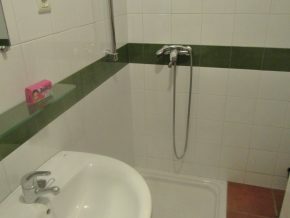 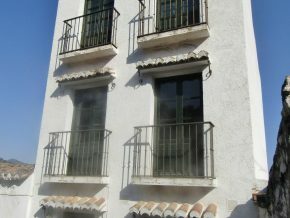 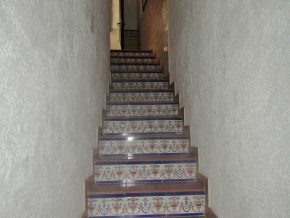 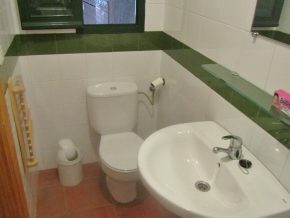 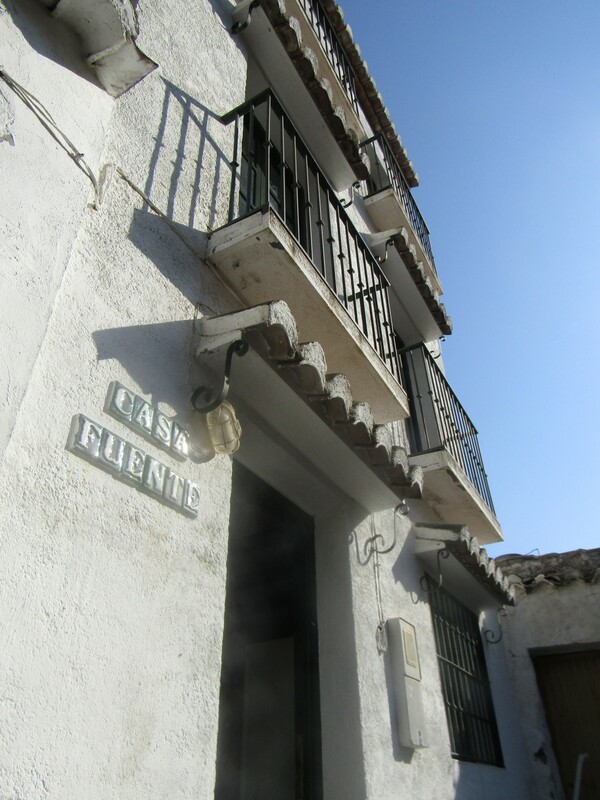 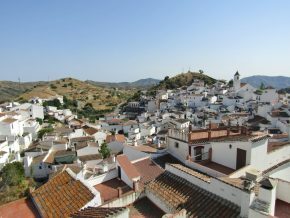 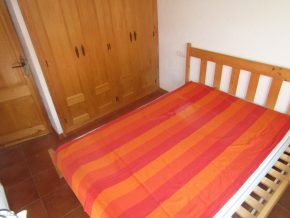 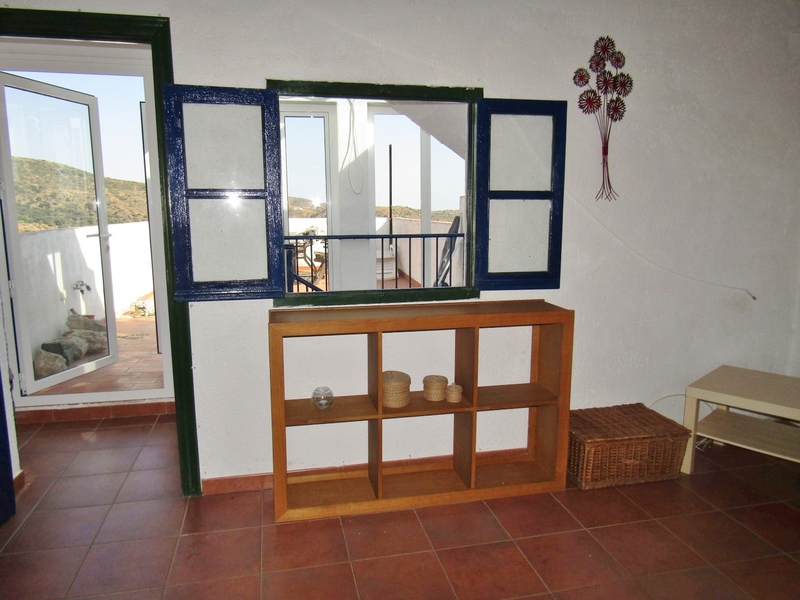 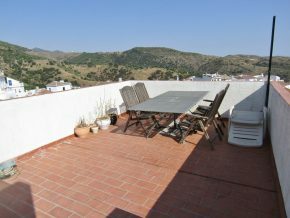 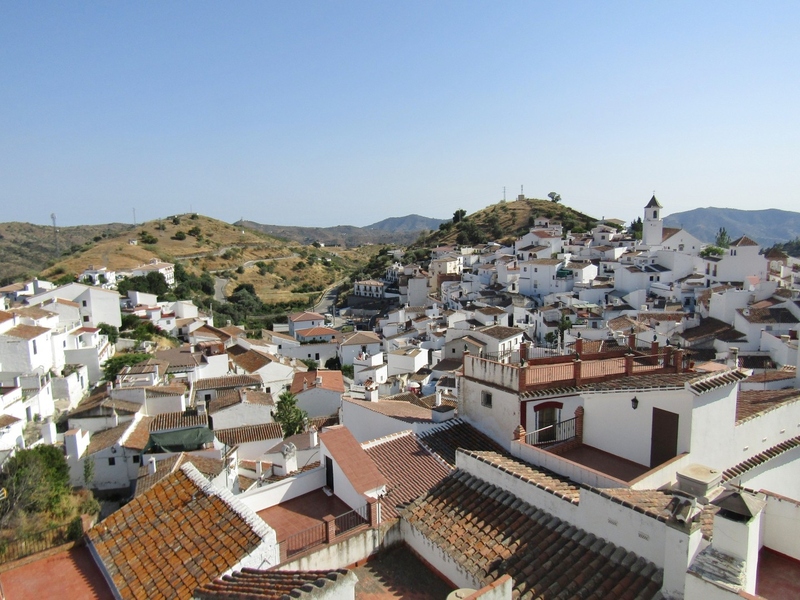 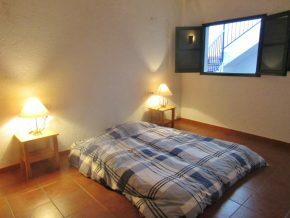 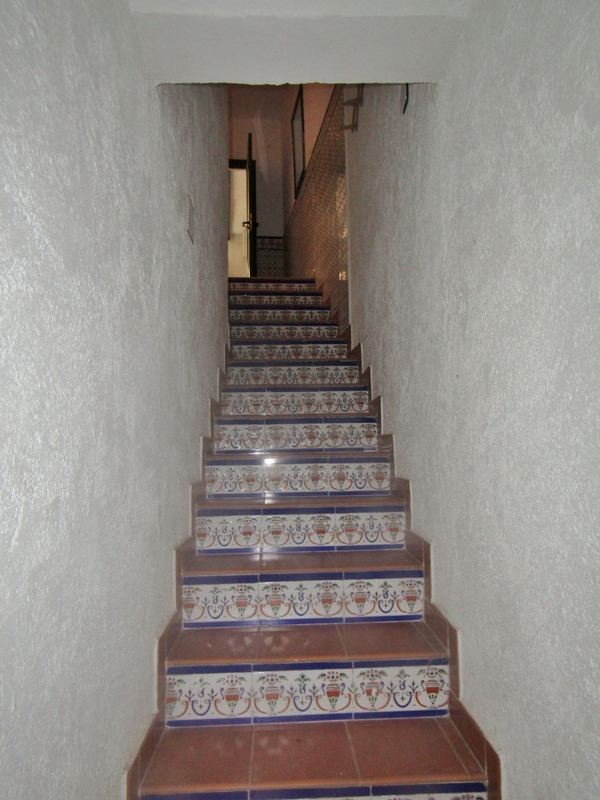 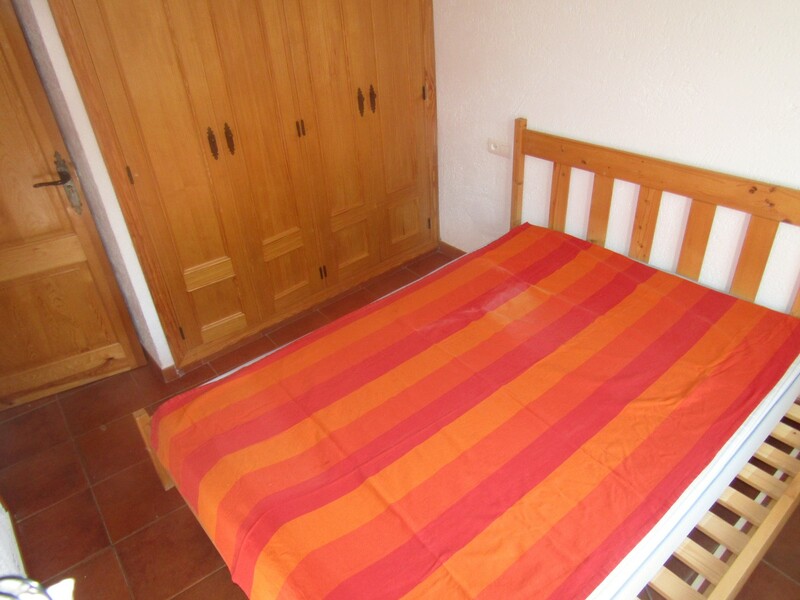 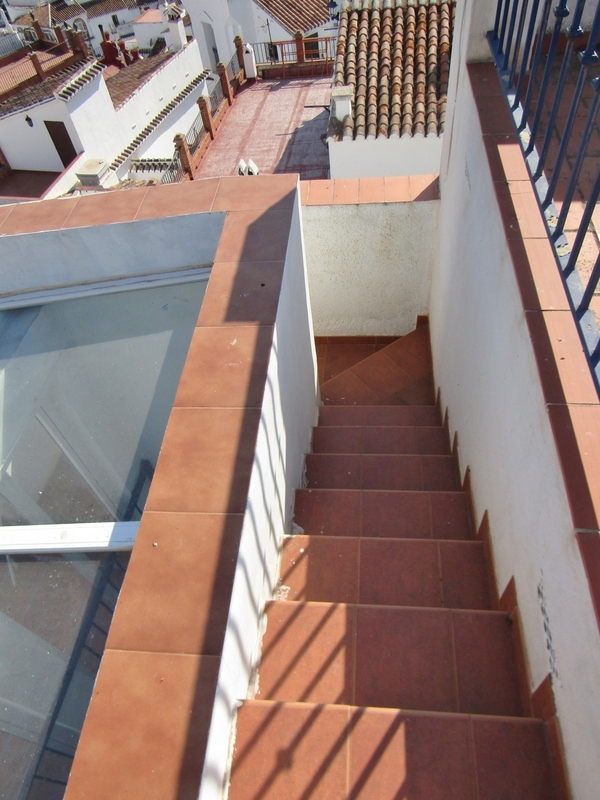 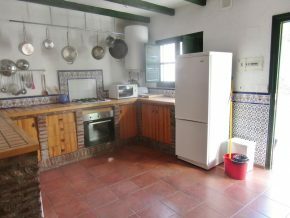 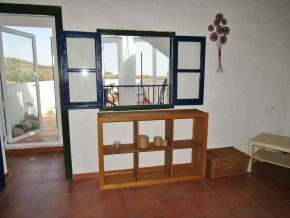 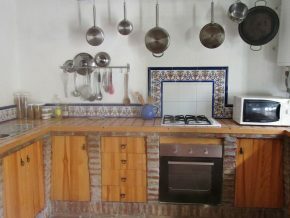 It is located just 15 minutes from Canillas de Aceituno, 35/40 minutes to Velez-Malaga and the coast. 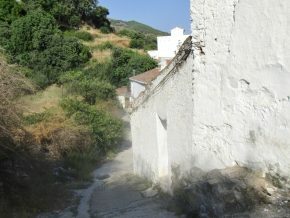 It is within 30 minutes of Cómpeta. 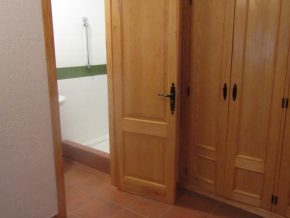 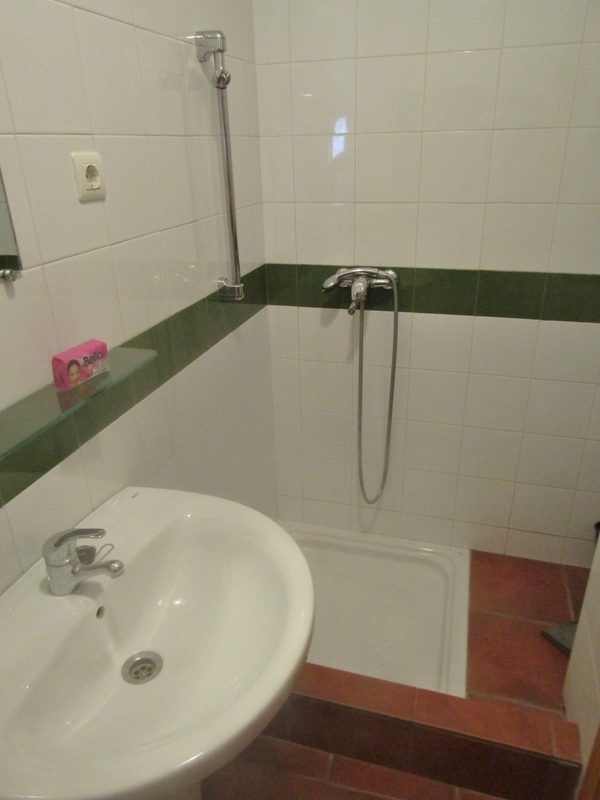 – IBI (council tax): 233 Euros p.a.